I started running because of a challenge. 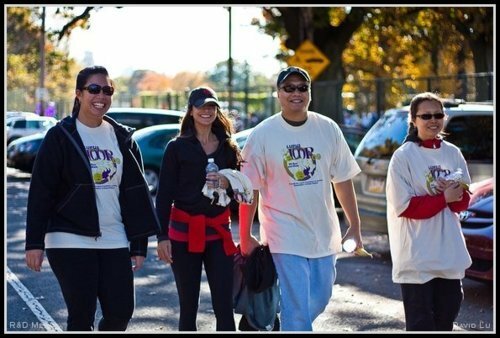 My friend told me about the Lupus Loop (10/2009), she said they walked it every year to support her sister who had lupus. She suggested we try and run this 5k loop in Fairmount Park. RUN?? Was she serious?! 3+ miles?? Well, after my pits stopped sweating from just the mere thought of running that far, I decided I was up for the challenge! Cut to race day… the energy and excitement coming from the crowd was infectious! 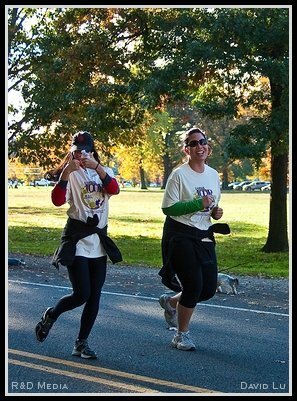 We were not just there to run or walk on a nice fall day, we were there for a cause. We were there to give support to people and families affected by lupus. I was overwhelmed with emotion! We completed the race, it was so hard and seemed so long!! BUT we did it! The moment I crossed that finish line I knew I was hooked and all I could think about was doing it next year even faster and raising even more money for the cause!